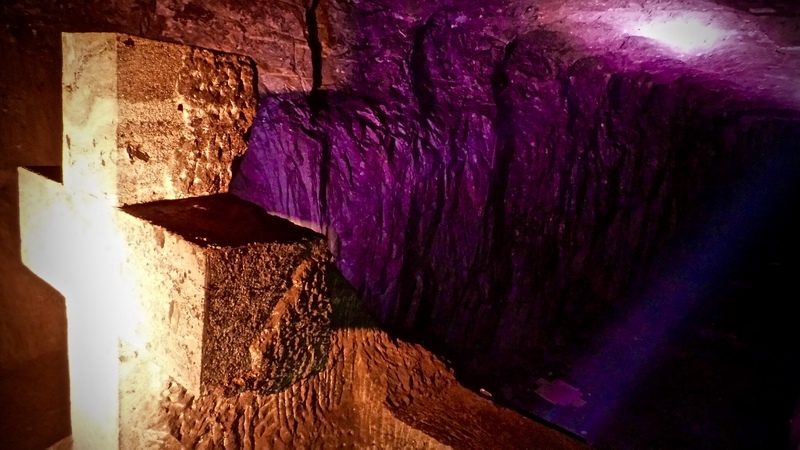 In the small town of Zipacana, not far from Bogota, deep underground in the very depths of the earth lies a mine heavy with stone crosses carved strictly from salt. The architecture is as impressive as it has been important to economical development in Colombia. What started with a simple space for salt miners to pray grew to a massive underground labyrinth for Catholic worship and ultimately tourism. The crosses and carvings are simple but large and striking. These days the space is lit with colorful lights adding dramatic flare to the cool, tall, and slightly eerie tunnels. The salt reflects the light in fascinating swirls, lines, and spots. It’s oddly beautiful.